First, submit a comment to the blog by 11:59 pm EDT Sunday, September 20, 2015, to tell me what are your favorites when you click on the resources below. One teacher will win three books. Get ready to engage your future scientists. 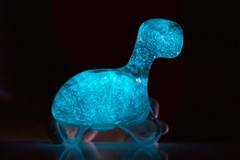 This no-mess glowing dino pet gives students close-up interactions with the scientific phenomenon of bioluminescence. It’s a micro-aquarium filled with dinoflagellates—living microscopic sea life that converts energy from light sources to chemical energy. Click here to download free lessons to use with the dino pet in your classroom. Think math. Now think “Scooty Doo!” (skip-counting) and “Who Stinks Greater?” (greater than, less than). I’ll bet your K–2 students will love the free UMIGO “appisodes” and Common Core–aligned teaching resources I have for you. Plus you’ll love that you could be the lucky teacher to win an iPad or to be one of ten runners-up to each win a $100 Barnes & Noble gift card. Check it out and enter at TheMailbox.com/umigo. In a pickle for some fun resources that are aligned to standards? You’ll relish these free “picklicious” resources—pickle-themed Common Core–aligned practice pages for grades 1–5. Plus help your students explore new places with “Flat Ollie.” Find these and more pickle ed here. Have you checked out the more than 1,000 free videos and interviews available to introduce your students to famous people, like US presidents, scientists, activists, Holocaust survivors, and many more? Plus enter to win $500 or one of 25 class sets of 30 Studies Weekly subscriptions. These units let you combine social studies and science with your state’s language arts standards. It’s all at TheMailbox.com/studiesweekly. 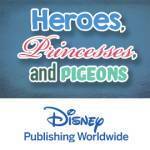 It’s a new month, so that means you have a new chance to win a class set—30 copies—of the book of the month from Disney Worldwide Publishing. The picks for September are My Bibi Always Remembers, Clementine’s Letter, and Clover’s Luck. Get free activities for these and other books, plus download free reading tips and teacher guides. Enter and get your freebies at TheMailbox.com/disneybooks. Don’t forget to tell me which are your favorites for your chance to win the three books. Post your comment today! Lots of fun opportunities. 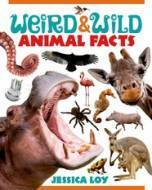 The three books sound fabulous and the idea of a dino pet is fascinating. The Studies Weekly and Disney promotion sound great as well. Mt. Olive is in NC! That’s the one for me! 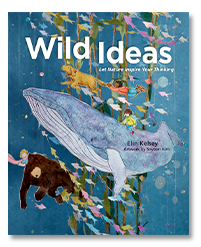 I work with grades K-2 in the library and all of the books would really engage my students with reading. The dino pet would be a great addition to compare/contrast of taking care of our books like we take care of our “dino pet” if we were to win a dino pet!!! Thank you for sharing book ideas/guides! 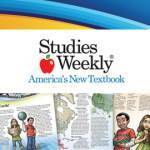 I would love to have the Studies Weekly in my classroom. It is such a great resource. Love the Disney and what a addition the books would make to my classroom. The UMIGO “appisodes” peaked my curiosity. I also want to learn more about the no-mess glowing dino pet. I really would like to learn more about the dino pet. It looks pretty cool and I am sure it would spark my students’ interest/curiosity. I would love to explore the Umigo appisodes for my classroom! The Dino pet looks interesting. The book of the month is interesting also. I think that the Umigo appisodes would be very helpful in teaching math strategies to my students. They seem fun and anything that is fun that can help my students learn and grow is great! I am so intrigued by the Dino Pet!! !